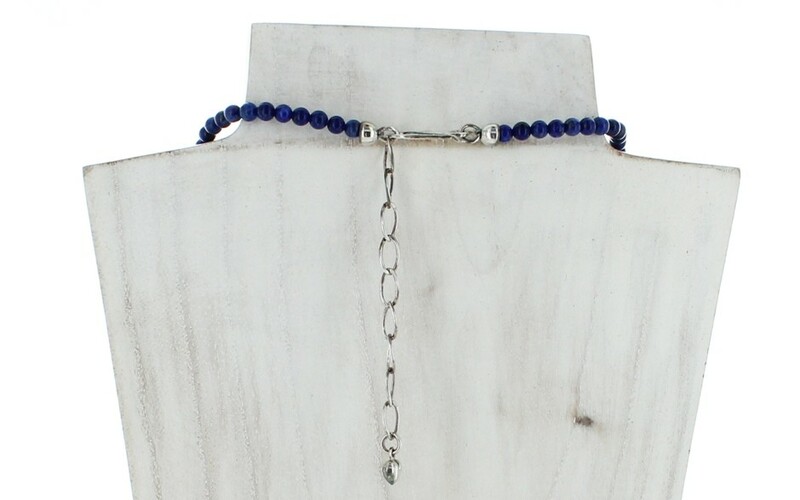 The combination of two of our favorites stones comprise this simple, yet classy single strand necklace. 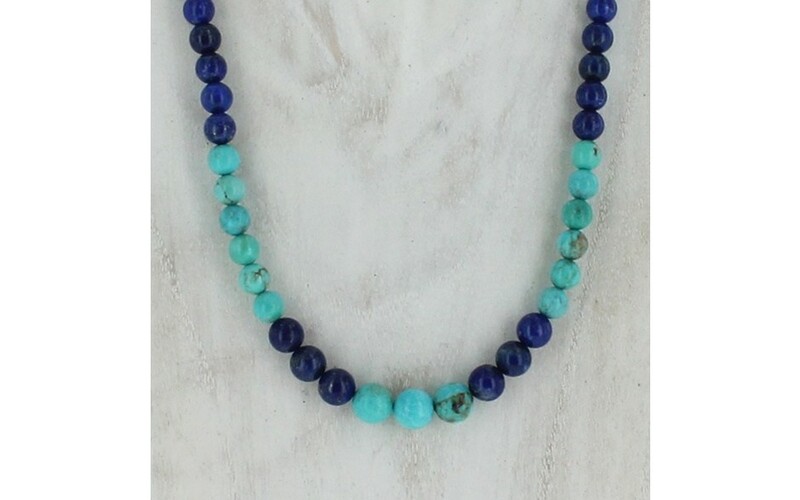 Gorgeous Red Skin turquoise beads are strung in a block color style with the lapis. 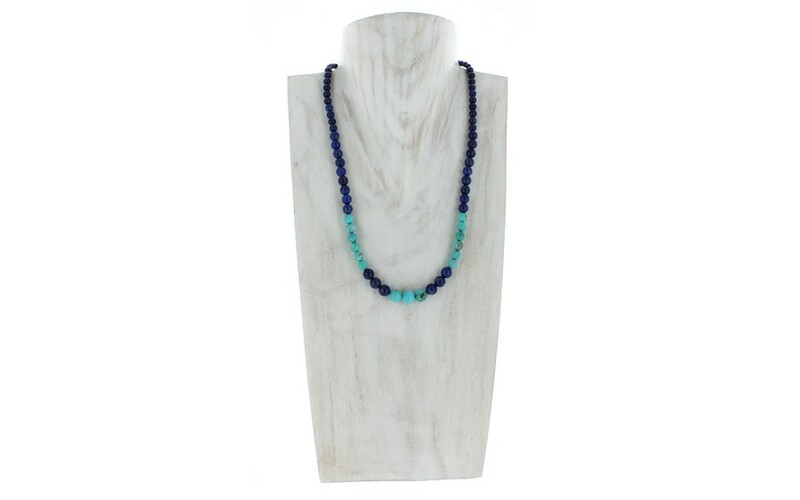 Be sure to layer this necklace with more turquoise strands for eye-popping style! The beads range in size from 4mm to 8mm. 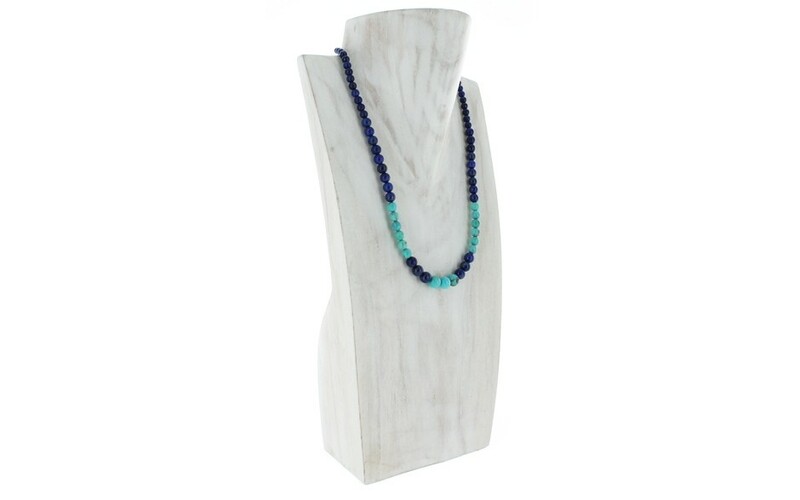 The stabilized turquoise was mined in China and the natural lapis was mined in Afghanistan.